It seems the people at Ubisoft weren’t attempting to deceive gamers when they said they would be revealing a new, unannounced AAA game at this year’s E3 show in Los Angeles. And contrary to our expectations, this new game will actually be another Assassin’s Creed title. This suggests Ubisoft could be going back to a yearly release cycle for what used to be the French company’s golden goose franchise. 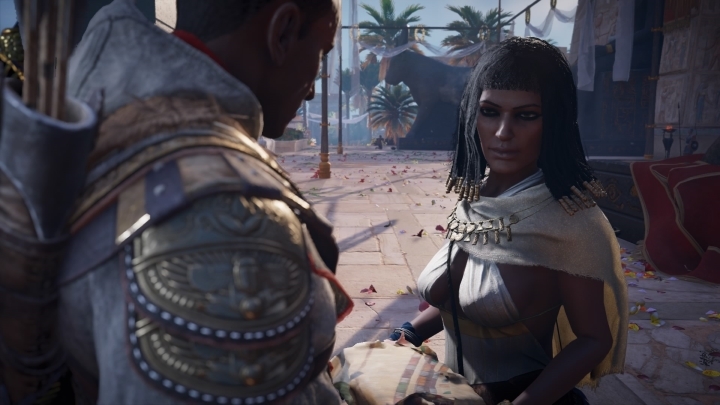 Mind you, Far Cry 5 might have gotten most of the headlines this year and is the top-selling game of 2018 so far, but last year’s Assassin’s Creed Origins was a great return to form for the series as we pointed out in our review, plus its expansions (especially Curse of the Pharaohs) were similarly impressive. And taking into account Origins sold millions of copies, it is not surprising Ubisoft might be eager to put out another Assassin’s Creed game this year. This next Assassin’s Creed game will be called Assassin’s Creed Odyssey, and as stated earlier, Ubisoft will be revealing more about this next entry in the franchise at E3 2018. What has been confirmed now, and as earlier rumours suggested, is that this next Assassin’s Creed will indeed be set in ancient Greece. Aside from this, we still don’t know much about Odyssey, even if the game is likely to be very similar to Assassin’s Creed Origins, offering the same kind of open world gameplay and role-playing elements as last year’s game. But given that E3 2018 is just around the corner, we don’t have much to wait in order to find out what Ubisoft has in store for gamers with Assassin’s Creed Odyssey, and the other games it is planning to showcase at this year’s E3, so stay tuned to this website for more info about Ubisoft’s upcoming Assassin’s Creed as it becomes available.